Is there such a thing as heaven in a gift basket? Well, there is now! 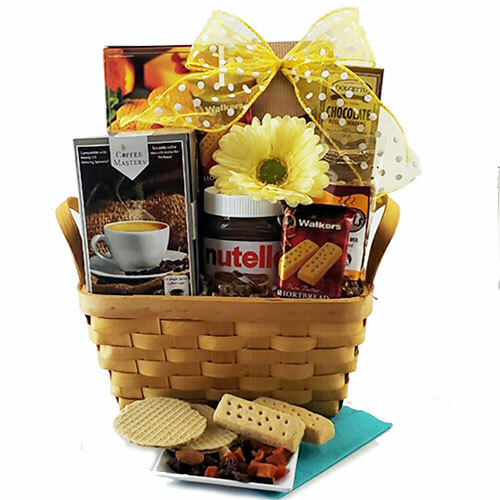 We’ve combined a heavenly assortment of Nutella, Your choice a of box of K-Cup coffee and tasty treats including pretzels, snack mix, cookies and pecan pralines too.